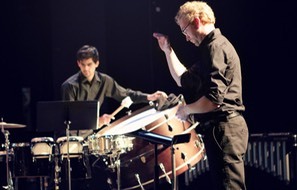 Boston Conservatory at Berklee offers undergraduate and graduate-level degrees in percussion; and graduate-level degrees in marimba. Our studio is comprised of about 25 students. The Conservatory as a whole has about 820 students between its three divisions: Music, Dance and Theater. Music is the largest, with about 400 students. Boston Conservatory has a rich history: it was the first music conservatory founded in the United States (1867) and forged a forward-thinking spirit early on by promoting women and African American musicians. In recent years, it was first to offer private music lessons to community members on the autism spectrum. 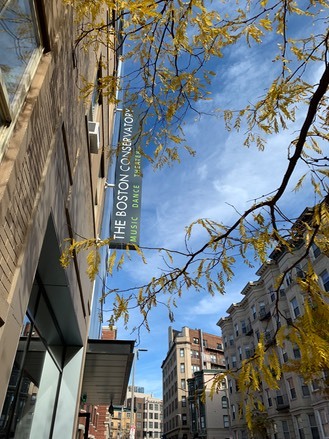 In January 2016, the Conservatory merged with Berklee. While core curriculum and the Admissions process remain separate and distinct, students enrolled at the Conservatory and the College may take elective courses at the other institution, and more points of complementary intersection are evolving. 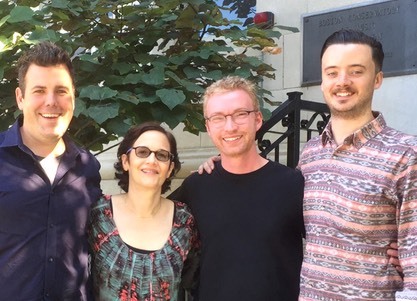 The teaching approach of the Boston Conservatory percussion faculty recognizes the breadth of the field of percussion. We strive to educate well-versed, well-rounded musicians while also recognizing the value of individualism and students' desires to develop special interests. Students will have a primary teacher and may also study to some degree with any/all faculty in each semester. Conservatory graduates go on to varied careers as chamber ensemble performers/directors, ochestral musicians, solo recitalists, versatile freelancers, theater musicians, high school teachers, and college professors. 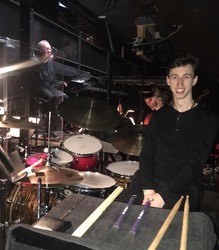 Percussion majors have numerous performance opportunities including the Boston Conservatory Orchestra, Wind Ensemble, and Percussion Ensemble (co-directed by Solomon and Perkins or Brightwell). They may also perform in opera and theater productions, chamber music, composers concerts, and studio and solo recitals. Graduate-level percussion majors accepted to the Contemporary Classical Music program, however, perform only contemporary chamber and solo works, and in percussion ensemble. Marimba majors focus on solo and mixed chamber music as well as marimba ensemble, and may opt for percussion ensemble. Boston Conservatory at Berklee students may elect to take courses at Berklee College of Music focused on World Percussion, Afro-Cuban hand drumming, jazz improvisation on mallet instruments, Brazilian styles, African dancing and drumming, or various styles of drum set, and much more. 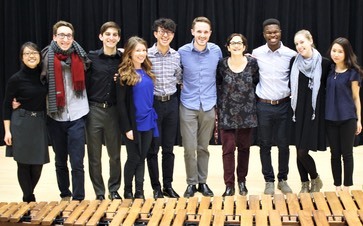 Zeltsman's courses at the College--Marimba Ensembles, Marimba in Mixed Chamber Music, Marimba Transcriptions and Repertoire Lab--are staples for Conservatory marimba majors. Popular Conservatory courses to round out their curriculum are (non-jazz) Improvisation, career skills, Alexander Technique, and yoga. For more information, visit/contact Admissions. Application deadline: December 1. Auditions are in February. A very exciting percussion movement happening here!! Congrats!